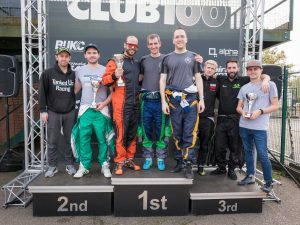 The 2018 season ends on a high at the classic Buckmore Park track. The weather was pretty good too. 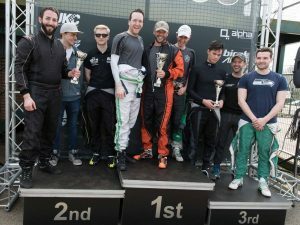 After 25 years of TKM racing, Buckmore Park saw the end of an era. 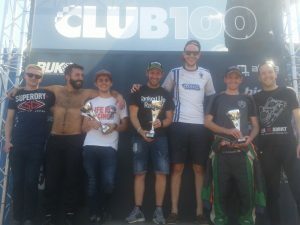 The move to Rotax clutched engines for 2019, plus a huge shakeup in the format for most of the championships will make things very interesting. Who would win the final race in the TKM era? A great lap from JAM racing in wet and slippery conditions saw them take pole position ahead of Ministry, Birel of Laughs and G3pro. However, the all important victory itself went to Tanked Up. Ministry looked quite comfortable in the early stages but they faded later in the race and Jordan Hill also had a few choice words with Birel’s Simon Young after a small altercation out on track. JAM didn’t seem to quite have the race pace and also slipped back. By contrast, great performances by Top Guns and Overdraft saw them pick up second and third. 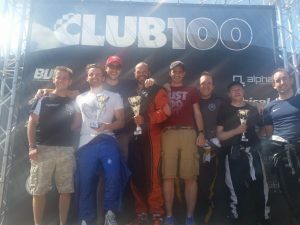 The battle for the Clubman championship was intense coming into this race. SoundFP came into the final race ten points clear on dropped scores and with fewer bad scores to count should they have a disaster today. They certainly had the advantage but it was by no means in the bag. 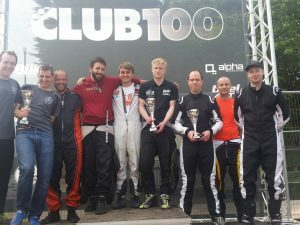 Racecraft needed to win and SoundFP finish third or lower to take the title. Easily achievable. Starting just ahead of their main rivals was certainly a bonus but a complete outage of the official timing causing the race to be stopped wasn’t in the script at all. 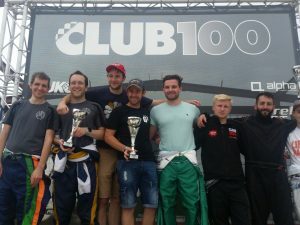 Racecraft did all they needed to by taking the victory. 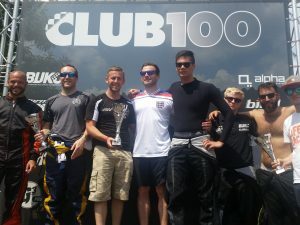 However, a second place for SoundFP was enough to give them the championship by just five points. 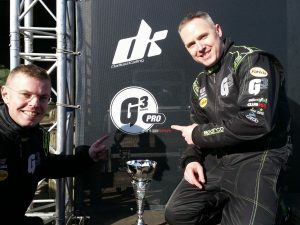 G3Pro took another third place finish just ahead of CKS Throatpunchers. This also assured them of third place in the championship. JK Rolling took their second consecutive victory to end their 2018 campaign on a high. Team JDR took the runner up spot to consolidate their second place in the championship. 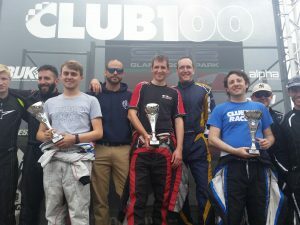 Wildcard Racing were a distant third ahead of G3Pro and Conman Racing who ended their championship winning campaign some way behind the leading group. Nevertheless, it has been a great year for the team who ended up 20 points ahead of their main rivals. 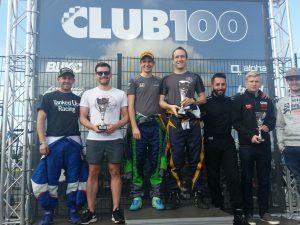 So with a few more changes next year’s format and rumours that there will only be two classes competing in the endurance championship, it looks set to be an even more competitive year.